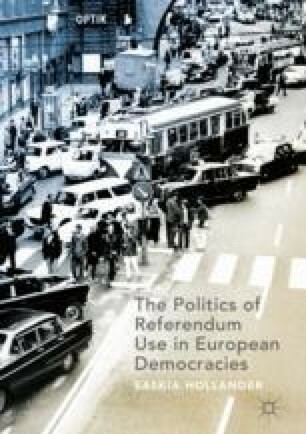 This chapter discusses referendums in relation to democratic theory. It outlines two well-known theoretical dimensions: the dimension that contrasts citizens’ direct participation with political representation, and the dimension that contrasts aggregative with integrative decision-making. It shows that the extent to which referendums provide citizens with an instrument to participate in decision-making directly depends on the nature of the referendum. Some referendums give primacy to popular sovereignty, while others remain largely controlled by political representatives and hence, are merely instruments of party democracy. Moreover, while some merely reflect aggregative decision-making, others provide scope to integrating minority views. Bearing this in mind, the chapter distinguishes five types of referendum based on the actors triggering them: legislative majority, legislative minority, presidential, citizen-initiated and mandatory referendums.